Aw this is such great news! 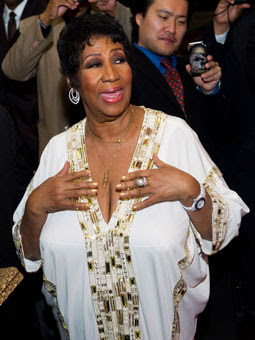 The legendary real Queen of Soul Aretha Franklin just announced her engagement to long time friend William "Willie" Wilkerson! This is great news and also encouragement for those of use who cant seem to meet anybody who works for marriage being that she's almost 70 yrs young! The statement was released to the AP early this morning ..in it, she joked..
LOL gotta love it. I wish her the best on this next journey in her life. This is the Queens 3rd marriage.